FACEASiT is not a doctor, nor is it intended to be. It should not replace a visit to the surgery, and you should always consult a professional in the case of a serious disorder. The body: Before starting, locate your problem on the body. Dien Chan gives very good results by locating the complaint globally, expressing it in everyday language—my back hurts, I’ve got a headache—rather than using medical terms without being a doctor. An excess of precision can draw us away from the area that needs balance restoring to it. This is why, after numerous clinical trials, we have divided the body into global anatomical areas. Touch the area where the complaint is located to reveal an anatomical sublist for a more accurate description. To activate the process for self-regulation of a particular part of the body, simply select it without specifying a symptom. The resulting map of reflex areas and/or points shows where to carry out multireflexology stimulation for natural regulation. In your FACEASiT Preferences, first select gender and the illustration (clothed or unclothed, according to your sensibility) of the human body divided into anatomical areas. Evidently, there are disorders that cannot be located in one of these areas because they are general or are located in various areas at once, such as blood, skin, anxiety, feelings of heaviness, other apparatus and systems, or the acupuncture meridians. The brain (represented by a brain on a maroon button): the brain, the seat of the emotions, mental disorders and the cranial nerves. Groups (represented by a green button showing a 4 branch connection): systems, apparatus and senses. States (represented by a blue button with a loop): sensations, habits and general states. TCM (represented on a mauve button showing the yin-yang symbol): non-anatomical concepts of traditional Chinese medicine such as the meridians and acupuncture points. When you select the body part in question, a list of possible symptoms appears on the right. These lists are not comprehensive and will evolve with subsequent FACEASiT updates. As it is clarified with the anatomy, it is not necessary to be excessively precise, but to select a symptom in keeping with your diagnosis. If the name of the symptom does not appear in the proposed list, think of a simpler, everyday name for the disorder. We often use medical terms when there are simpler words to describe a complaint. When you select the anatomy and the symptom, FACEASiT presents a small box with a detail of the treatment map. To view this map full screen, just touch it with your finger. 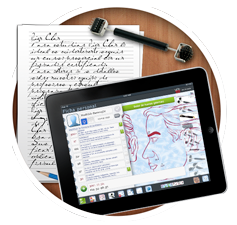 In the FACEASiT’pro and FACEASiT’clinic versions, you can zoom by pinching and touch each point to consult its detailed fact file. +info about the BQCpoint fact files on the Study page. The symptoms combined with the chosen anatomy bring together all possible multireflexology knowledge. 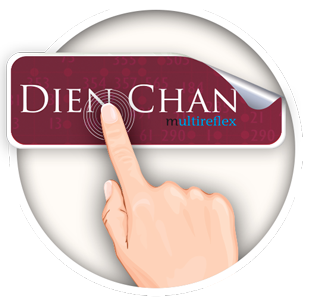 The aim of Dien Chan is not to cure illnesses but to stimulate the body to help it restore its energy balance. Expressing disorders by means of symptoms facilitates multireflexology. 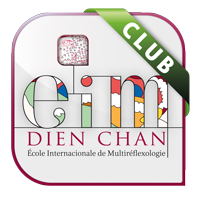 Dien Chan is a modern method that helps quickly to mobilize our capacity for self-regulation. As you evaluate the complaint, selecting areas and symptoms, the FACEASiT carousel presents the 2 most suitable tools. The other tools on the carousel appear more transparent. With no need for comprehensive knowledge of Dien Chan, you can start by stimulating the reflex areas shown in green on your own face, using the proposed tools. The FACEASiT’pro version offers access to the map of set points. The FACEASiT’clinic version further allows you to modify the treatment formula of BQCpoints. The most important points are before you, accompanied by their yin or yang characteristics. +info on the Patient follow-up page. As well as providing solutions and treatments, FACEASiT'pro and FACEASiT'clinic allow you to study all the facial projection diagrams and the Dien Chan set points. You'll find all the study details on the Study page.